Model T Ford Forum: Accessory Tail/brake light ID?!? 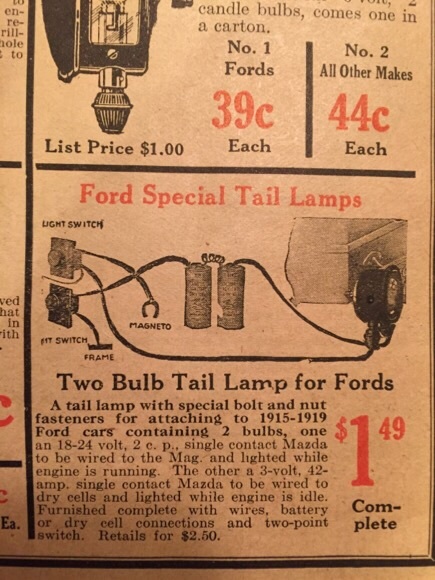 Model T Ford Forum: Forum 2014: Accessory Tail/brake light ID?!? Picked up this accessory tail/brake light a while back off T-bay. Interesting design - looks much like the standard electric tail lamp, but has an additional socket for a brake light. 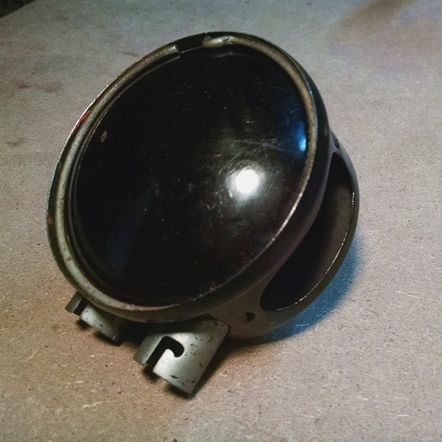 There are no markings on the stamped body or glass, and I've found no reference to it in my "Authentic Accessories" books. Can anyone ID this thing? Interesting Gary. The dimples are certainly compatible with Ford brackets, the large headed mounting bolt appears the same. Our Canadian sourced lamps have rectangular side lighting holes rather than the rounded ends as shown. Your task now is to find a second one for the other side of the car! It is an after market tail light. 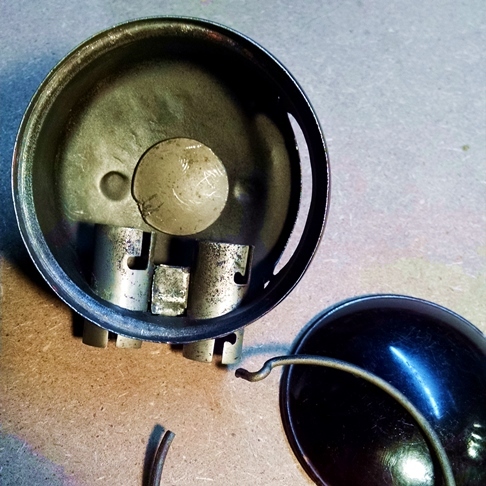 One socket ran on the magneto the other was for battery. I have had one, there is an ad in the Western Auto catalog for them. If a higher watt bulb will fit along with an tail light bulb it should work for brake and tail light. Thanks Mark! Do you recall what year catalog it's found in? I've got a '37 Western Auto catalog and a several hundred page 1922 Minneapolis Iron Store catalog - but didn't see anything similar in either. Dan, Great work finding the sales ad! Anyone else think the 42 amp bulb is a typo? Seems excessive, but I suppose it would solve visibility issues...that works out to about 125 watts!